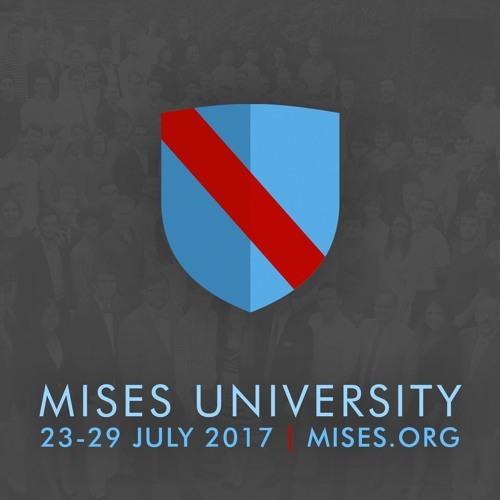 The Mises University is the world's leading instructional program in the Austrian School of economics. Since 1986, it has been the essential training ground for economists who are looking beyond the mainstream. Rooted in the tradition of Carl Menger and Ludwig von Mises, as well as Murray Rothbard and F.A. Hayek, the Austrian School offers a rigorous and logical approach to economics that gives free markets their due and takes full account of the reality of human choice. More than a field within economics, the Austrian School is an entirely different approach that dissents from the mainstream on method, theory, and policy. It views economic actors as unique, conscious, and freely choosing individuals, not as undifferentiated data to be manipulated mathematically or politically. Recorded at the Mises Institute in Auburn, Alabama, 23-29 July 2017.